If you have been keen on growing vegetables the garden should be overflowing by now, especially with successional sowing. During the month you can make further plantings of celery and plant out winter greens as you harvest crops and ground becomes free, but water freely if July is persistently dry. Leeks sown in mid-March can be planted. Feed and train outdoor tomatoes, nipping out side shoots and when the first fruit start swelling you can put some well rotted manure or compost around the plants. 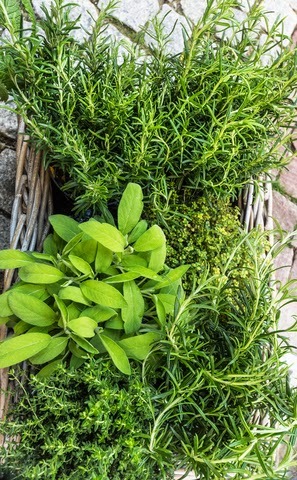 Time to gather herbs before they flower and dry them for winter use. Sage, rosemary and thyme are obvious choices. Tie the stems in small bundles and hang them downwards from a beam or hook, When dried store the leaves in air-tight jars or tins. Parsley you can sow in pots and then move them into a greenhouse in autumn.